It's that time of year to get a Valentines Day Printable up. Now if you follow my blog you may recognize this particular printable as the quote happens to be my 2013 theme. However, I have spiced it up a little bit in honor of the upcoming holiday. 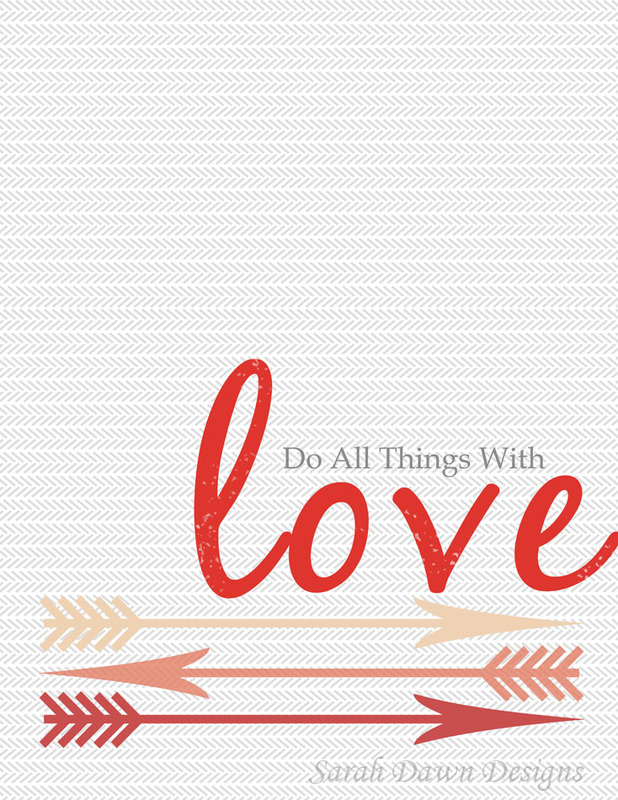 I have to say, I LOVE this Valentines Day Printable. A few weeks into the new year and I'm finding that I still struggle with being to quick to judge those around me but by golly I will not give up. With some of the changes that are happening around here love is going to be pertinent and the more I can muster up the better. This Valentines Day Printable is available on my website to download for free. As usual the idea is that you print it on an 8 1/2 x 11 size paper and trim it to fit into an 8 x 10 frame. The watermark will NOT show up on your download. Since I have had such a positive response to the 5 x 7 printables I have also elected to make this one available in that size. Again you could print it on an 8 1/2 x 11 size paper and trim it to fit a 5 x 7 frame and give the other one away. Or trim it down to just the 5 x 7 and print it on that size. Again check out my store for this download. How do you show love to those around you? Do you have any big Valentines Day plans? This is so cute. I am always jealous of all the cute printables people make. adorable! i love valentines day! These are so cute Sarah! I pinned them too! I love this and that it's not too frilly or cutesy, if that makes sense! Visiting from HOH. 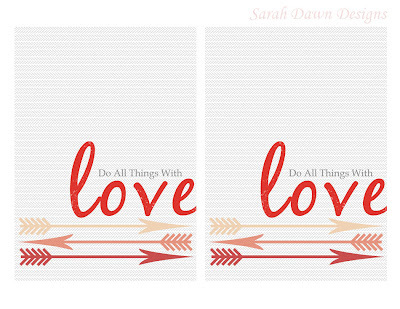 Such a sweet printable Sarah! Thanks so much for sharing over at Clean and Scentsible. I'll be featuring it tomorrow. Happy Sunday! Perfect printable for Valentine's! 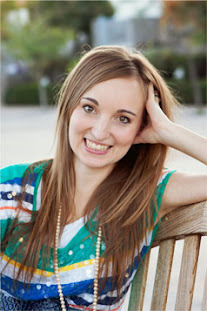 Thanks for sharing at Simple & Sweet Fridays! Well done and nice job ex client work and useful information about the gifts it's nice job.